Backyard Apollo. An augmented reality rocket in your pocket. For iPhone and iPad. A rocket in your pocket! It's the model rocket of your dreams! 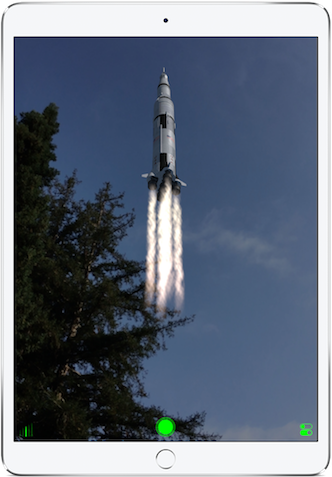 Launch your Saturn V rocket anywhere you want, then explore it! 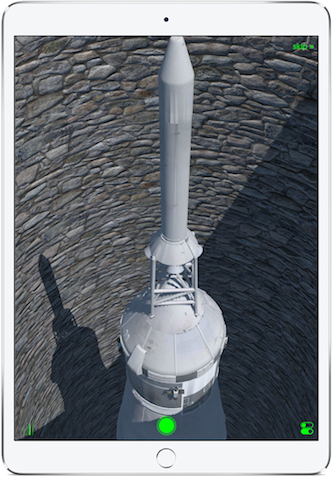 Real Apollo mission control sounds and high-res 3D graphics bring your rocket to life! 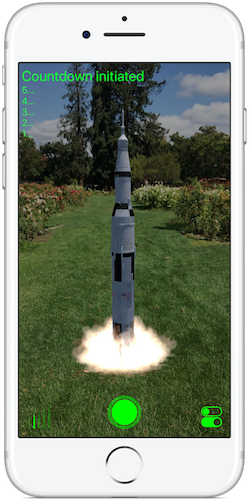 See your rocket up close and even walk under it to see every part, then take snapshots to share! Choose which size of rocket you want: from a table-top miniature to a full-size giant! 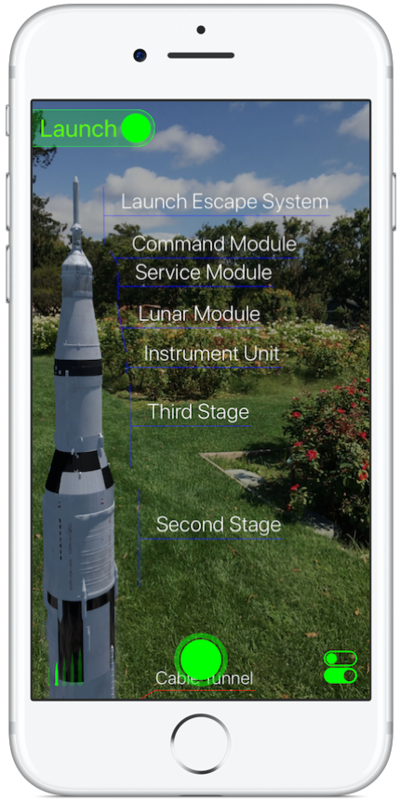 Backyard Apollo is an Augmented Reality experience built for iOS 11 and runs on any device supporting Apple's new ARKit technology! Also available: Luminos, the award-winning astronomy simulation for iPhone, iPad, and Apple Watch.